It's April 1912. Easter has just been celebrated, but the Titanic has not yet hit the iceberg. Spring and sweet romance are in the air, along with the scent of flowers. On a surprisingly warm evening, you climb into a carriage the takes you a few miles out of town and down a dogwood-lined lane to a plantation-style home where, for one evening each year, guests from all around the region mingle at The Ball. Was this ball a real event? 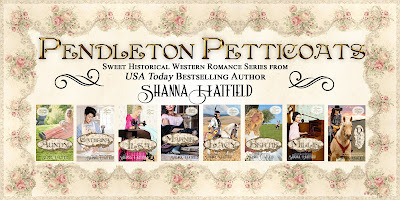 It takes place in my imagination and among the pages of my Pendleton Petticoats stories. But each time I write a scene set at the ball into one of the books, it makes me smile. After all, how else would I imagine these clowns warming up the instruments for the real musicians? 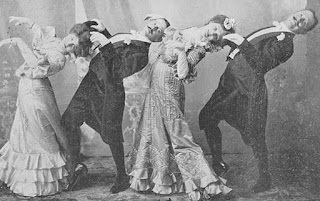 Or question if dance lessons taught by this group would actually help any one learn to waltz or polka? 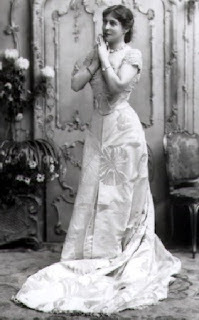 And I can't help but wonder if this woman is begging to attend the ball. I'd be pleading if I had the opportunity to attend. 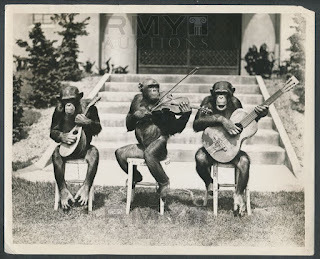 That's why I'm inviting all of you to join us for the 4th Annual Petticoat Ball. You'll find it April 12 on Facebook from 10 a.m. to 2 p.m. (Pacific Time... so that is 11 a.m. to 3 p.m. Mountain, Noon to 4 p.m. Central, and 1 p.m. to 5 p.m. Eastern). Twelve guest authors will join in the fun and there will be oodles of giveaways, games, free books, and more! You can even get in on two giveaways before the ball begins. Join in this contest! 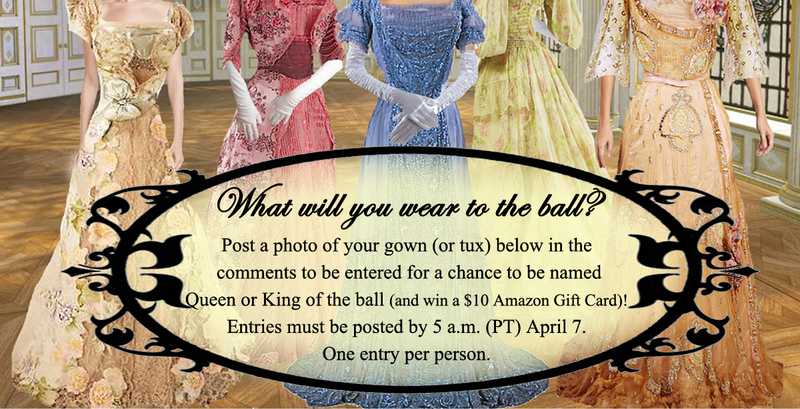 Post a photo of your gown (or tux) in the comments of the ball gown thread to be entered for a chance to be named Queen or King of the ball (and win a $10 Amazon Gift Card)! Entries must be posted by 5 a.m. (PT) April 7. One entry per person. A slideshow will be compiled from all entries and those attending the party will vote on their favorite! Don't miss out on the fun and the chance to win bragging rights! Start "shopping" for your ball gown or tux today! Winner will be announced April 13. 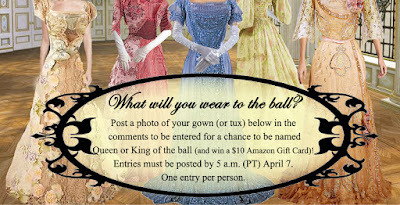 Invite your friends to the fourth annual Petticoat Ball, and you could win a $25 Amazon Gift card. Just click on the "share" button on the event page, invite your friends, then post in the comments of the giveaway thread how many you invited. 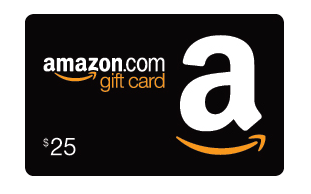 One randomly drawn person winner will be announced prior to the start of the party April 12! Mark your calendars. Dust off your dancing shoes, and get ready for The Ball.